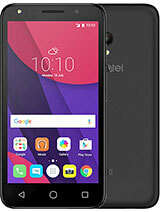 its a amazing phone,and i love this phone.i am using it since one year and love this phone,it has every thing Bluetooth, cam, PC suit, and work as modem.It is the worth for money.and i have buy it in 1600 rupee. what u want more in this amount,and most of all a good battery life,u can listen music all day long during journey no need to worry about u r battery. little bit display is poor looking,but not so bad,and what u want more in this price. And any one help me out plz,i want to buy its earphones so any one know its dealer can told me. i wantt ot buy this ph. after seeing da features and options i want a ph. which has good sound and sms space shall i go for it?? I got this phone from Bombaymall, ebay.in for Rs 1890 and ebay has given 2gb pendrive as gift. If I deduct Rs 290 for the 2gb pendrive, then this phone has costed me only Rs 1600 including postage. The look is like Blackberry phone and it has many functions and nice cute looking phone. 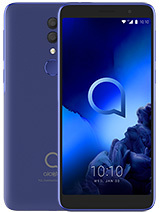 I recommend all to buy this phone. I recently bought this handset for RS 1800.00 from e-bay..its fantastic. I recently bought this handset for 1800 from e-bay..its fantastic. Deepak Mittal, 01 May 2010Oh My GOD !!! I love this phone. Won an Auction on Ebay and couldn't believe my eyes when I g... moreHi...Since you've been using this phone for sometime...can you tell m about the call quality? Plus any downside of this phone? And dos the FM work without plugging in the enhancement? LOVE LOVE LOVE IT - I PAID A FRACTION OF WHAT IT IS WORTH - Rs2800 :)) and MRP on the box is 5990!!!! alcatel ot i650 does not have phone book search feature.it jumps to only first letter of search. that beats all other goodness. 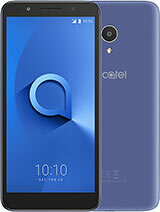 I bought this mobile for 2789Rs in chennai,india - The mobile store. Very nice to use. Good for texting but camera clarity is bad. Good battery backup. Really great value for money. Lot of cool features. Great Mobile. With this low cost, got memory card option, bluetooth then pc suite data cable. The phone cannot record video. it can only play downloaded video and i tried download GPRS the quality is not that good. But everything else is very good, especially the battery life. Every alcatel phone should have this type of battery. The shop you are talking should be "Berlein". 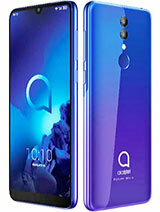 This is another authorized distributor by Alcatel and is also Alcatel's authorized repair center. The battery for this model is made to have 30 days life from the day it is fully charged with minimal use. 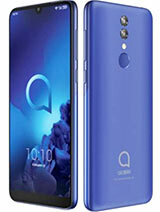 When this is launched in the Philippine market in the second quarter this year, this is priced at almost 7,000 Php including 1 gb micro sd but the price is being downed to half now because this is older modcl now. raul, 31 Oct 2009hey guys!.. how can i order from america?... because here in the philippines.. it cost more th... moreI bought it for 3490 pesos // 73 USD excluding the microsd.// the shop is called bergein sounds like that. If you live in manila go directly to versatile telecom. It has a good battery life than regular phones. I would recommend it. hey guys!.. how can i order from america?... because here in the philippines.. it cost more than 150 dollars?!.. its so expensive.. I bought this phone today for 3490 Philippine Peso. only black, white and orange combination. the phone is available in Holland with a Telfort simcard. 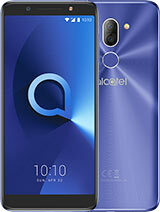 Total of 58 user reviews and opinions for alcatel OT-I650 SPORT.